The word stole wasn’t part of my growing up vocabulary. In fact, it wasn’t until I was a hospital chaplain that I gave much thought to the different liturgical vestments worn by church leaders of different denominations. Little did I know that in many denominations, there are whole seminary classes devoted to teaching clergy how to dress liturgically. At Anabaptist Mennonite Biblical Seminary, where I went to seminary, we talked about what the preacher should and should not wear, but that only took about 30 minutes during one class period. During my hospital chaplain stint, my Presbyterian colleagues essentially dared me to wear either a collar or a stole for a day. Just one day. They wondered if I would feel differently about my role or if I would be treated differently by others. I thought it was a good idea, but I could never bring myself to try it, which I regret. After all, without these identifying markers, most people thought I was a medical technician, despite my eggplant colored clergy lab coat. I’m honored that Patty will be speaking at my installation service or (in-stole-ation as Patty put it) at Rainbow on September 29. 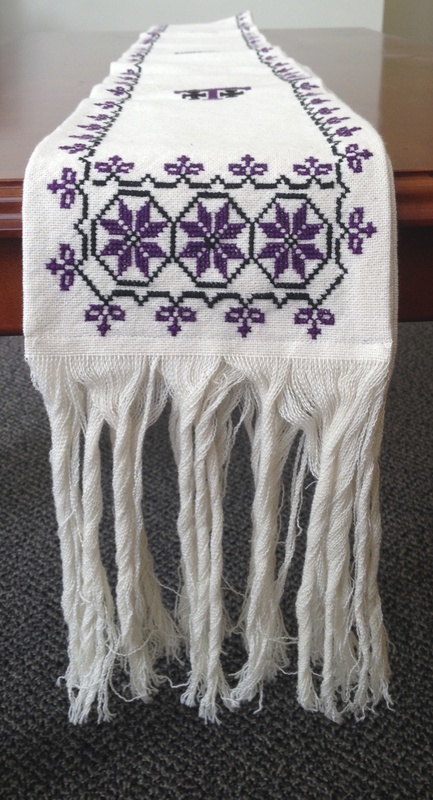 Look at these stoles! Aren’t they beautiful? 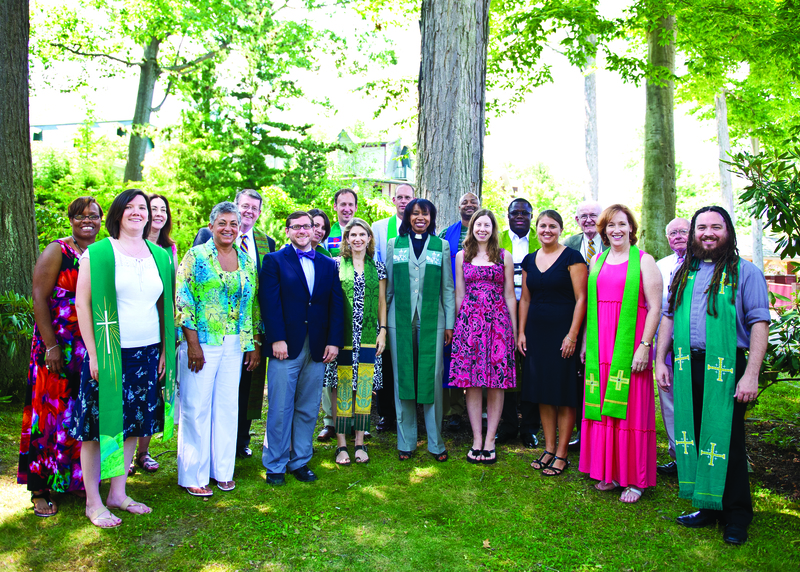 During the summer of 2012 I was an Interfaith New Clergy Fellow at Chautauqua Institute in New York. That experience further fueled by stole envy.